Do you work for Visio? Whether you want to quickly capture a flowchart that you brainstormed on a whiteboard, or map an IT network or build an organizational chart, Visio makes it simple to do so. Learning about Visio? We can help. En mi trabajo como auditor, el uso de este dispositivo es esencial porque le permite pintar un método a través de las metodologías de los diagramas. Funciona como una apelación en el desarrollo de diagramas eléctricos. Proporciona muchas opciones disponibles para crear diagramas personalizados rápidamente. Arrastre y las características de Draw se entregan con ganancia Las capacidades de arrastrar y soltar hacen que los archivos sean fáciles de crear y reemplazar. Herramienta fácil de aplicar, requiere escolaridad mínima. Algunas veces, las herramientas especiales intentan y hacen cosas robóticas para usted, que generalmente no funcionan bien y finalmente terminan tardando más en corregirse. El sistema de agregar y conectar las trazas a los contenedores puede ser desconcertante porque hay distintas formas de líneas. usarlo constantemente, sin embargo, hubiera sido útil si otros hubieran iniciado sesión correctamente de vez en cuando. Realmente me gustaría tener más control sobre el vector de las formas. Sin embargo, a pesar de esto, el funcionamiento de este software es perfecto y lo mejor para el departamento de procesos de TI en una empresa comercial. Hemos resuelto dentro de la protección de lo que es nuestra gran máquina de control la presentación de la evaluación motivada de las no conformidades con mayor orden, limpieza y estética, sin la necesidad de reordenar compras adicionales de programas de software que se traduzcan en ahorros financieros para el negocio. Enterprise Proporciona visuales de aspecto profesional que se pueden crear y utilizar en minutos. Se convirtió en un diagrama flotante. Diagramas de flujo de la técnica simplificada Ideal para comunicar ciertos procedimientos. "Microsoft Visio is the only Microsoft Office package I have and I use it frequently"
I like that I can use Microsoft Visio to create a diagram when I want to make a quick visual explanation of how something works, and store it as documentation. There are many types of icons/graphics missing from the library which I would like to see added. If I copy them from Google Images, the quality isn't as good as they have square borders. Oftentimes I want to create a quick diagram to visually show how a product or feature works, and record it in documentation. I always use Microsoft Visio to do this, as it is quick and easy, and it is able to save as full quality PNG images which I can add to software documentation. It is the only Microsoft Office software I have which speaks volumes on my opinion of it. is the best diagram software, i used it for all my projects to diagram workflows, vmware connections, i used all the stencils that are create it for visio, it almost have everything for every brand. 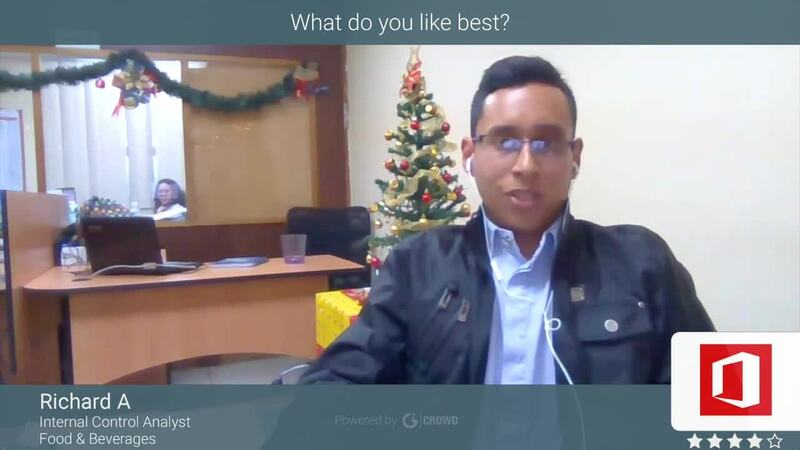 and also it helps me to make my presentations easy, for the user of our internal LAN and our software, i also used it to teach the workflows, the other thing i like the most is that integrates. Office experience allows you to perform common flow charts with ease. Add comments and share diagrams easily with anyone across your organization. You have to tried it, Office experience allows you to perform common flow charts with easy, share diagrams easily with anyone across your organization. for the projects is problem solving, because you can present to your client a visual diagram of anything you have in mind. Office experience allows you to perform common flow charts with ease. Add comments and share diagrams easily with anyone across your organization. "The best tool to create your diagrams"
Visio is a very complete and powerful tool with which I can create diagrams very easily, I can create from UML diagrams, databases and others. Its interface is similar to PowerPoint by just dragging the elements to create a professional quality diagram. I think it lacks more elements to create different types of diagrams, it also has many options and it is difficult to find the one I need, and finally I would like to see Visio included in the Microsoft office. If you are looking for an easy and practical tool for creating diagrams, this is the ideal because it has all the support of Microsoft. For me, as a programmer, this tool is very important since you can create different programming diagrams, either database or applications. "Microsoft Visio is good but not excellent"
Microsoft Visio is the best tool for making diagrams that show how a task should be done. My overall opinion of Microsoft Visio is that it's not excellent. I think they could have made it a lot better. The lines don't snap together sometimes, which is really annoying. Try to put the icons on a grid then the line snapping works better. We use Microsoft Visio at the office when we have a process flow that we want recorded. We make a diagram in Visio, and then it gets converted to PDF and added to our shared Google Drive, so we have a record of the official way to go about a task. This has helped us become more compliant and helped the agency grow. "Auto Connect Makes Diagramming Easy"
I like the Auto Connect feature that connects all the graphics I use with the connector lines, and flows the lines around to make diagrams easily. It is often difficult to have a diagram fit on a single page without Microsoft Visio automatically adding an extra page in a way that isn't always predicatable. I use Visio to make diagrams when I want to present some data or a process visually. I'm able to use a palette of icons from presets, and bring these icons into the document easily. I like the visual style that Visio has, and how I can change the color scheme in one click and use 3D style objects. It's a very useful utility to have in my repertoire. "Good tool for making diagrams but it could be better"
It has a lot of themes and icons supplied with it, so I can create a nice looking diagram quickly by starting with a template. I find the tools to create diagrams in Microsoft Visio to be clunky. The shapes and connection lines don't always fit together, or the lines go in an unexpected direction. I think it could be improved. I use Microsoft Visio to create quick diagrams of how a workflow is intended to work, and how a product that I have created works. It is a useful tool and much easier and quicker to use than Adobe Illustrator for quick diagrams. However in my experience, the tools can be a bit clunky and connection lines don't always work as expected. "Simple web site wireframing is possible in Visio"
We like that you can make simple web site wireframes in Visio, and then style them with the drawing style. This gives the effect of a sketched diagram. We dislike that Visio can get a little buggy at times, with the snapping grid twitching and getting to the point where we have to start a wireframe from scratch. Keep your diagrams simple, as if you make too many changes or add too many objects, the snapping grid can start malfunctioning and ruin your project. We wanted a way to make wireframe diagrams for clients so they could have a preview of what their web site might look like. Visio let us do this quickly, which benefitted us from faster time to market. "Very good for making network diagrams"
I like that I can make network diagrams with Microsoft Visio, to show how the network in our office works, so we have a reference when engineers come in or staff have problems. I would like to see automatic creation of network diagrams by network scanning, and perhaps a live feed of network status. It does not do automatic network diagram creation. I use Microsoft Visio to make diagrams of how our networks work in our offices. I then print them out and leave a copy at the offices, so if they have to use a 3rd party engineer, they can refer to the network diagram. It has helped reduce confusion when a cable modem engineer was called out. "A Loose Diagram Maker That Doesn't Force You Into Its Structure"
I like best that Microsoft Visio is quite loose and does not force me into a structured way of creating a diagram, so that I can create a diagram in the way I need. The tools are not always 100% accurate, and the snapping to the grid and the connection lines often don't connect properly. I use Microsoft Visio to create diagrams for different workflows and processes in the company. I can use a library of graphical elements and drag and drop them into place. It is a very effective way of making high quality diagrams, which are printed as vector graphics. It can also export to PDF files and be loaded into Adobe Acrobat. "Visio. A classic and still the "go to" diagram/mapping software"
Visio is classic. Pretty much everyone has heard of it and it's used by countless people for a good reason. Visio is amazing at what it does. You can keep it simple and use it to just make some basic diagrams, or your can get fairly complex and tag a ton of metadata into your objects. I really built out Visio is much more than just a visual representation, it's a quite robust form of documentation when used to it's full extent. But! If all you want to do is make a pretty picture, Visio has you covered. The only thing I can point to right away is that you will find yourself having to go to third parties for additional drawings of products. Generic stencils are most of what's included and if you want something that is actually what you have in place you'll very likely need additional stencils created by other vendors. Documentation and visualization of an increasingly interwoven environment. "Great Diagraming tool for make network diagrams"
easy to use diagramming tool for make quick network diagrams it has all the features and facilities to make technical diagrams such as network diagrams and. other business flow diagrams it support various of diagrams to make them easy. it doesn't come with Microsoft office you have to purchase this separately apart from Microsoft office. Visio is great tool for make industry diagrams in very detail manner. it has lot of features and functions for draw industry specific drivers such as network diagrams or business process diagrams. so I think it's simple and easy tool for use for make diagram easily. it is easy tool for make technical diagrams and business process diagrams I mostly use this tool for draw network diagrams it has all the features to draw network diagrams in very detailed manner. Diagrams and drawings developed or made are truly accurate and intelligent and by using the review mode all the necessary follow-ups of the file or the file can be made without problems of comments, forms and digital ink that others add. "Easy to use intuitive software for creating beautiful flow charts"
I find the software very intuitive and easy to experiment with. They provide an assortment of templates, but it is very easy to create a new flow chart from scratch, by drawing a starting shape and using connector lines. If you are already familiar with designing powerpoint diagrams, the concept is similar, except with Visio, it is much more effortless to align objects, and the software will automatically expand your figure onto another page if necessary. The product defaults to blue shaded boxes which are difficult to read and not very printer-friendly. I have to manually fix it every time. The other limitation is that when you want to save Visio or transfer your image into a different program (i.e., going into a powerpoint presentation), the image doesn't always transfer in exactly the way because it may appear slightly differently. I also wish there were more icons available, so I could use them as objects in presentations. There is a way to modify them, but there is a rather limited selection, since the diagrams were intended to be used for business or work purposes (not as a general database of copyright free clip art). I would highly recommend using Visio if you like to create interesting flow charts and plan to do so on a regular basis. I was a bit of a skeptic when my vice-chair highly recommended Visio for designing algorithms and flow-charts. I initially used it reluctantly, but I was able to figure out how to make fairly appealing flow charts within minutes. This makes for much more interesting presentations and hand-outs. Most people who have seen my Visio flowcharts have been impressed. The completed flow charts would take significantly longer to create in powerpoint or other software programs. "VISIO for Project Management Professionals (PMPs)"
The ability to integrate Data with Visual Objects allow me and my team to create complex, collapsible diagrams and the additional ability to hide the data when you need to see the visuals, display the data when you need details. It is lightweight tool for technical drawings i.e., floor-plans, wiring diagrams etc.... The integration with other MS Office Software like Excel, MS Project and Sharepoint workflow is nice. It is a bit costly to acquire in my opinion. Also, additional templates related to Agile Value Stream Mapping would be a plus. This should include additional Pivot Diagrams available in VISIO Professional. Users of this product should have an underlining knowledge of process flow and how to diagram ideas in a visual manner. Take a course on basic Visio implementation and use is highly recommended. Learn the new features can help define a clear picture of what you want the audience that will view the diagrams to understand. The problems we look to solve are related to using Visio in a Lean, Kan-Ban, Information Radiator and other Agile techniques. Including the use of Wireframe Diagrams, Database schemas. Our Program Management (PMO) need visual flow diagrams in the multiple projects we are managing in both the public and private sectors. "Easy to work with and easy on eye"
As an electrical engineer I do a lot of documentation, My biggest struggle is always picture of my designed circuit. I have tried exporting them from my designing software but they always end up looking strange and incoherent when using in text document. Using Visio has solved this problem for me. You can use Visio For any type of diagramming need. After drawing your circuits you can also include your block diagrams with the same software. The library for circuit symbols were not included, I have to find a library online,which is not complete. Therefore sometime I have to put a lot of time making library components. Considering other libraries beside electrical engineering, Visio is almost complete. Another problem is that for exporting pictures, you have to try a few time with the exporting option to make sure you have a clear image. Some times when making picture ready for a journal I have to re-export the pictures with very large sizes to make sure the quality of my picture is good enough for the strict requirements of a journal. Large number of manufacturer specific templates, easy to use when developing basic network diagrams and brainstorming. Very popular with IT staff so often times they can provide initial diagrams at early stage of project. Some limitations when exporting to autocad as well as when scaling drawing size up or down. Have not seen much improvement from Microsoft on this product. Monthly cost when adding to office365 accounts seems a little overpriced compared to cost of some other programs. try the trail or online version first to make sure it will perform the tasks required, there are lots of other programs available but this has been the preferred diagramming app when dealing with IT staff/clients. Quick and easy flow diagrams for internal and customer projects. Using the stencils where the device is realistically represented often times helps clients better understand the size of equipment and how it will logically be placed in a rack. Ok, if you need to VISUALLY define the way something is going to flow and you are not wanting to use your cocktail napkin in a meeting... Then here you go! Then again, maybe the dry erase board with the half usable markers is more your speed! God love ya! Enjoy! Ok, the NEW version of Office, either you dig it or you don't Its' pretty simple. I say that because I have been on office 2007 for a Looooooooong time. And just upgraded. Yeah. Bit of a difference there. The functionality is there, but wow a big jump for me. If you are looking to CROSS collaborate with others in a whole new way. 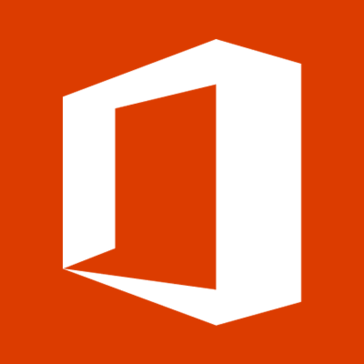 Then with the even newer version of office 365, you probably cannot ask for more. But for instant file updates and sharing of overall design flows. You really cannot beat it! "It's Visio the better choice for my company?" Visio allows you to create a lot of diagram types, for example: process diagrams, business, factory, office and more if you get creative. For me, it's the perfect BPM to start if you got no experience in the field of process ingeneering or in the process diagram world. Let's be honest, is a process modeler with Microsoft support and that counts a lot at the end. Page sizes, as you got a top and a bottom per sheet, this botters me a lot because the most of our process diagrams are a little more bigger than an A4 o A3 paper sheet sizes, so this is a annoying situation that I always have to consider when I'm diagraming. If you are getting troubles with your business process in your company, try it!! It would help you to identify critical points of improvement through your process diagrams, but when you get more and more expertise in process engineering, maybe you'll need another software in the future, this is because you will go from plain process diagrams to apps for your company. At the end of this review, I invite you to ask yourself if Visio is ther better choice for you. All of our business process are diagrammed on Visio, this solution has given to our company the organization for our process documentation, so we keep them structured, esquematizated and in a portrait so anyone can see them. "Visio - The easiest to use application for diagrams, org charts, wireframes & mockups. " The magic of Visio is in its easy to master User Interface, enabling drag-n-drop shapes & other objects onto a digital piece of graph paper. I've used it for everything from flow-charts to creating professional looking network & infrastructure diagrams, decision trees, and mockups of Apps when presenting to a new client. It has become the 5th tool in my Microsoft toolbox (Outlook, Word, Excel, Powerpoint and Visio). Without it, I had to resort to using wither Powerpoint or PaintShop Pro which are not as easy to use of as flexible as Visio. Since Visio isn't popular, I can export to Pdf, Jpg, gif and other common formats. Maybe I'm asking too much, however I wish Visio had some of Powerpoint's capabilities such as animations. The ability to also create quick, interactive web pages would also be a great feature. If you need to document complex processes, network topology, org charts, or decision trees then Visio is the tool to use, especially if you're already a Microsoft shop. Visio has become indispensable to me being able to quickly and efficiently put together professional looking presentations to convey complex concepts and messages. The templates allow me to create documents which look like I've paid a graphic artist to do. Thousands of shapes and versatile templates make for a flexible work environment, allowing me to create just about anything my boss or co-workers need. Installs and activates easily. Love the new SkyDrive integration. Once you are used to Visio, the features and capabilities become second-nature... so easy and self-explanatory. Templates for Maps and Floor Plans are nice, too. The price can be steep if purchasing it for personal use, but it is a must have for the workplace. It can have a somewhat steep learning curve for new users or someone unfamiliar with Microsoft software. Visio for Mac or Linux does not exist; it only works on Windows operating systems unless you use 3rd party tools or workarounds. It is the standard for diagramming and vector graphics applications. If you need to create any type of flowchart, this is the tool for you. Don't bother looking anywhere else. Network diagrams, decision trees, org charts, and seating charts... these have all been made more neatly and professionally by Visio. On a personal level, I have used Visio for genealogical research and family trees. As I mentioned before, this program is useful for many things and many sectors, from solving school tasks to executive presentations of some company, it is really a program that helps a lot when it comes to making diagrams, mental maps, among other things. "Easy themes that you can apply to the document after you have content"
I like that you can apply a theme retroactively to a document in Visio from Microsoft, so you can quickly experiment with visual styles. I don't find it very intuitive to create new presentations in Visio from Microsoft, and I find it hard to use. I use Visio from Microsoft to create visual presentations as videos to show off our products and our publications. I do find that I cannot place high quality graphics in it as it will freeze up, so it has to be 72 DPI only. However it is still a tool that benefits the company when I create a video with Visio from Microsoft. Pre-defined set of stencils which are widely utilised. Creating new workflow diagram is very easy. As a developer creating new control was also very good experiences. As a business analysts, i have developed very user friendly workflow for my documentation. Need to be economical as it requires you take license separately even if you have office installed. Alignment of the placed objects is not simple, it can change order of all other exiting diagrams placed on the page already. This is very nice product from Microsoft and already much popular. I would just keep on using this forever. Creating workflow diagrams for user friendly and beautiful documentation. Additionally we are creating visio models to extract the final data flow through the xml. "Somewhat annoying since Microsoft acquired VISIO"
VIsio is a very good tool for 2 dimensional illustrations, flow diagrams, logic illustrations, simple schematic type drawings and more. It is generally quick and easy to use. Despite the drawback of a Microsoft owned product, Visio is probably the best tool of its kind today. Since Microsoft acquired Visio, they have made it much more sluggish and heavy, and made a number of annoying features the default behavior, such as automatic snap to path and snap to object, and connectors that try to predict what you want to do, instead of simply working in the way you would like them to...Microsoft took a great tool that was easy to use, and made it unnecessarily complicated and heavy. "Easy to use saves time"
It is very intuitive to navigate; you can only use the symbols similar to Paint or you can use the templates or even create complex links; depends on your goals and free time you want to spend on it. Does take some time to get used to the meaning of each shape. Could be nicer it it was a little more intuitive and gave you suggestions as you work. This is a nice addition t your office productivity tools. It is worth buying it. Will save you time and will help you achieve a professional look for your presentation with little time and effort. Visualizations of the current state of a process and the potential for improvements; also good to visualize data flow and other issues. "An almost do it all tool"
Visio has come on by leaps and bounds and the more templates that get added the better it gets. We use it for screen mock-ups, business process diagrams, software flow, floor plans, org charts. The list just goes on and on. It is also easy to cut and paste or embed the diagrams into word documents or slide shows. There used to be a facility (15years ago?!) to scan a network and generate a network topology diagram based on what Visio found. This was removed a long time ago but I still miss it. It used to save hours creating network diagrams for small offices. Software design - helps prevent rework by getting the thinking right first time. Layout Plans - use the ability to produce vector graphics to create diagrams that can interface with our hot-desking software providing real time updates of availability and status. With Microsoft Visio you can create any type of diagram you can think of. I like the fact that you can choose your diagrams category like networking and drag and drop the icons were you need them. I would like to see more icon packages to expand the default categories. Other than that it's pretty solid software. I highly recommend Microsoft Visio if you're looking to design diagrams. We needed a way to keep our Network diagrams updated in a visual format. Having a diagram of your entire network with IP addresses is very beneficial. Editing and rearranging is super easy!
" Visio Powerful diagram developer"
This software developed by Microsoft is excellent, it is more than a simple design tool, it is like magic, with it you can capture a whole process and do it in a very professional way, since it has pre-designed figures and a great variety of topics. Visio is so powerful that with this software you can create flow diagrams, construction plans, floor plans, data flow diagrams, flow charts, process flow diagrams, business process modeling, 3D maps, lane diagrams and much more. So basically it allows to simplify and communicate complex information with linked data diagrams created with a few steps and in a short time. In my work we handle quite complex telecommunications systems, so the use of plans is necessary, VISIO is very useful since it allows us to create the flow diagrams, travel plans of the services and electronic architecture plans of the equipment, all this in a very friendly and understandable way with a high level of detail. "Great tool for Documenting Business "
I like the stencils that allow you to create a business document for just about any business system or process. There are some very nice integration capabilities that are helpful in cutting down maintenance. I really like the org chart tool that uses the Outlook/Exchange directory to build organizational charts. You just pick someone and the levels you want to include and then the chart is created. I have the PRO version, which also allows you to link diagrams to Excel data files. I used this to update system diagrams with a table of data about the server, such as domain, name, function, etc. and avoid updating all of the detail in the diagram. I also like that I can set my page size to anything I need for large diagrams and plotter size paper. It is not very commonly used, so I need to create a PDF to share files. While it is good for precisions. I don't find it useful in collaborations, because it is not that common. If it was a part of the Office suite, it would be more. Linking data to diagrams is a nice solution especially for complicated diagrams with lots of detailed information that is better edited in a different file type, such as Excel. "Visio Is Good For Complex Task Structure Documents"
The best feature is being able to make diagrams in the same style each time on a template, so they all look similar. It is a bit difficult to get used to editing with Visio, and sometimes the objects don't snap together in a proper way. You can sometimes use Microsoft Word with WordArt to make diagrams that might just be enough if you don't have Visio. When we make a new business process, we want to make a diagram and laminate. Microsoft Visio has let me make these diagrams to a high standard, print them, and laminate them. "Visio isn't great but it is the tool we have for making diagrams"
There are plenty of templates, including organizational charts, and even calendars, making it quick to make a quick diagram for the office. I dislike that it freezes up sometimes, and that sometimes the templates won't load when you really want. I also dislike that the diagrams go off the page, and sometimes makes a new page, and sometimes doesn't. It can get frustrating. Don't go off the edge of the page, or it can automatically make a large sheet that you won't be able to print. We use Visio to create quick diagrams and organizational charts for the office. "Unbeatable network design and documentation tool"
I use Visio for mapping our network, server, and WAN infrastructure to obtain an easy to understand visual representation that we can refer to, as well as hand out to vendors when planning upgrades. There can be a slight learning curve to understand some of the expert functionality available. If you currently do not have a diagram utility, or refer to hand drawn maps, I would highly recommend Visio. We use Visio to create documentation, disaster recovery maps, and more. It has helped us to minimize extra work of needing to investigate to see how our network is configured whenever we need to make a change. "Easy to use with wide range of feautres"
I like that it is not too hard to use and it offers a wide range of features. I can easily and efficiently crate flowcharts, information architecture and diagrams. I like that I can import and create stencils and that it offers tutorials to help me become familiar with some of the main or most used features in the program. I would prefer if I could set the page areas, like in some of Microsoft's other programs, so that I can design or layout my flow charts from that starting point rather have to resize and move things around again and again. It would be nice if there was an option for a quick build template type of design. Double check the licensing options for you or your Team/Business needs. Visio allows me to create flows that document and simplify complex information and share that with my team. It is beneficial because it allows the opportunity to create simple and appealing diagrams and charts that are user friendly. "Visio is an easy way to transmit information through the use of diagrams and flowcharts. " In my work as an auditor, the use of this tool is fundamental because it allows you to paint a process through the methodologies of diagrams. Relieving processes through this software has become one of the most important activities of a company, especially because it is very easy to use, its applications are universal (everyone knows and understands what their functions and definitions are), besides this tool It works as an organizer of key processes in a business unit. In addition, after the latest updates have added templates and additional design tools that allow you to innovate in the construction of the flow diagrams. I believe that this tool should contemplate a module of online collaborative work. However, despite this, the operation of this software is perfect and ideal for the process department (IT) in a company. They could consider doing an application of editing and / or creation of processes and flow diagrams in a collaborative way, that is, several users connected at the same time working in the same file as a common project. In my daily work, using this tool allows me to have a strategic vision about the processes of my organization, therefore, to identify opportunities for improvement. I like that it allows for a lot of customizations such as the different backgrounds and designs for the flow charts. I use both of the floor plan and the flow chart functions. I also like that it is intuitive when it comes to connection points (floor plans) as well as connection lines (flow charts). I dislike that it is not set to standard page size defaults and resizing the items can be very clunky - especially on the flow charts. We use these a lot and it can be tedious when trying to resize to the page. The user has to know ahead of time to set the page set up before working and even then, because you don't necessarily know the finished size of your flow chart (or even floor plan when doing it to scale) you usually still have to resize it. I do like that we can do large scale printouts, especially for floor plans, but I don't think that should be the default as most companies would tend to use this for flow charts or process maps. If you have to create flow charts or floor plans, definitely check out Visio. It's very user friendly and intuitive (basically just point, click and drag). It has all of the usual standard MS Office features such as the Ribbon which make it easy for the user. I would just highly suggest setting the page dimensions first before getting started to make it much easier when you are finished. Also, it would be good to have good PDF software so that you can send your finished projects to people who may not have Visio on their machines. We use this software a lot for flow charts. We do all of our organizational diagrams as well as for process mapping using Visio and have found it to be MUCH more user friendly than Word or even Publisher or PowerPoint.